You can view the promotions you've signed up for and other details by logging into your BookSweeps author dashboard. 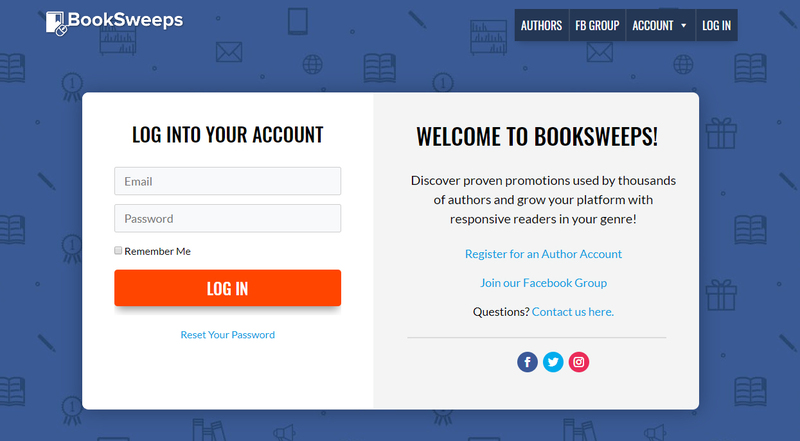 If you forgot your password, you can always re-set it directly from the BookSweeps author dashboard login page by clicking "Reset Your Password". If you are still having trouble logging in, please contact us here.